The first ever Eurovision song contest took place back in 1956! At the time, only seven nations competed in this new and interesting international event. The idea was to mimic the Italian Sanremo Music Festival while also achieving new broadcasting feats across the continent. However, it wasn’t until the 1990s, that the popularity of the contest grew rapidly. Now, each year, new countries join the roster and the event has become wildly successful worldwide. These days, thousands and thousands of fans look forward to the annual competition, which takes place in May. When the final votes have been counted, though, many fans want to take home a small gift or garment to remember the event. 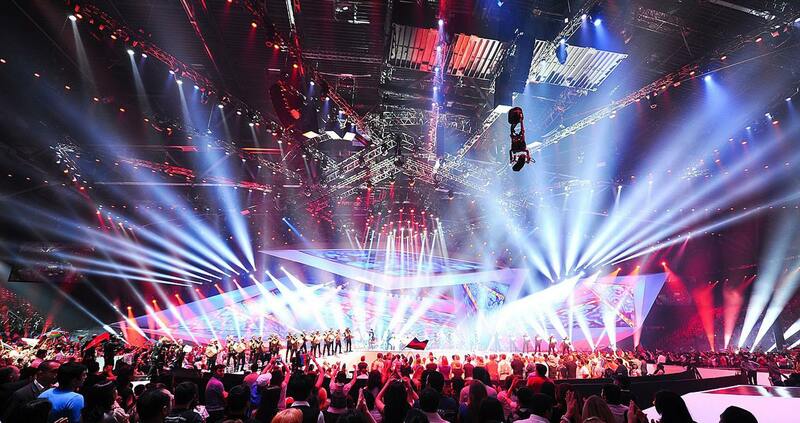 Eurovision merchandise is a massively popular sector and one that’s set to grow and grow. With that in mind, let’s take a look at some of the best pieces of all time. 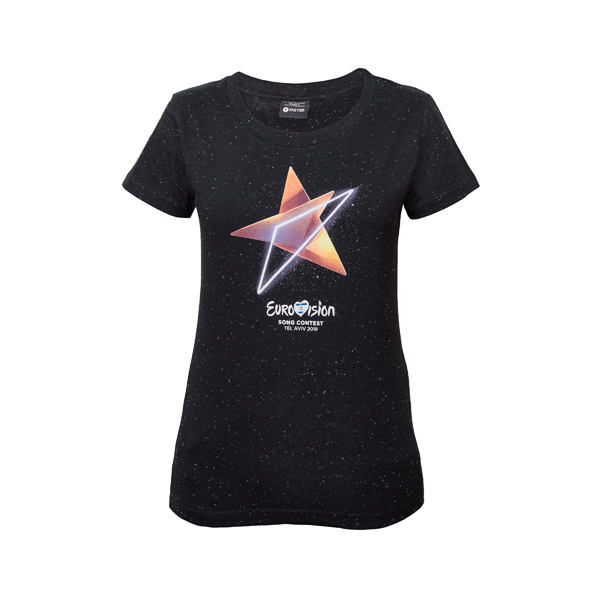 Before we go any further, let’s talk about the official Eurovision merchandise store. The website is the go-to place for fans to get branded pieces from each year’s competition. Boasting T-shirts, bags, hats, balloons, wristbands and more, the shop is massively popular with consumers around Europe and beyond. Each year, the official store has a whole variety of new products. With the 2019 contest just around the corner, the current offering is a range of products that celebrate the upcoming event. Ahead of the competition, those who are planning to attend or simply watch the extravaganza on TV can get themselves a cool piece of merch. The official Eurovision 2019 T-shirt. The 2014 Eurovision Song Contest winner, Conchita, is a performer that we will never forget. The Austrian recording artist an drag queen was one of the most memorable contestants of all time. Known not only for her astounding singing, but also her well-formed beard, Conchita won the hearts of audience members and took the top prize. Plus, her landmark entry marked a new era when it comes to tolerance in Europe. Fans wanting to show their appreciation for the singer had a simple yet effective way to do so. Many of the contestant’s fans put on fancy dress beards as a sign of who they were supporting along the way. These small novelty items are perhaps one of the most surprising pieces of Eurovision merchandise that we’ve seen so far. However, that’s not to say that we don’t love them for their originality. 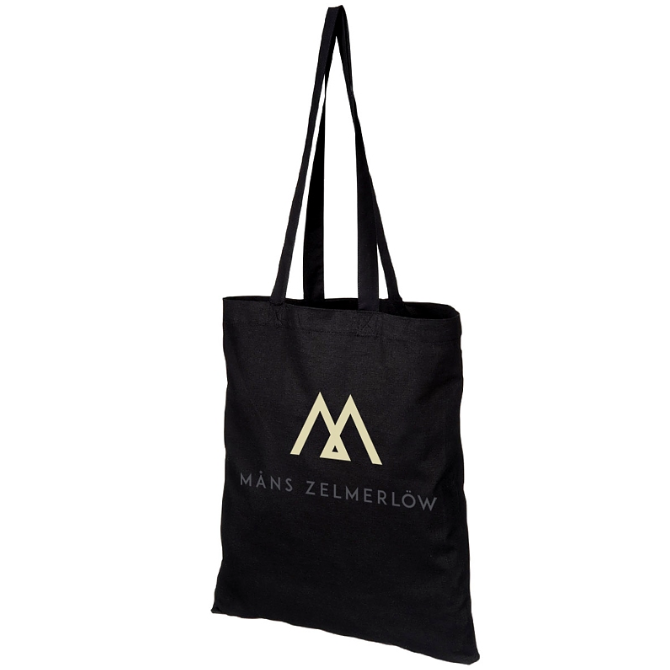 When Swedish pop singer, Måns Zelmerlöw, walked onto the Eurovision stage back in 2015, nobody could have expected what would happen next. The charismatic and likeable star took complete ownership of the room as he delivered his contest song, ‘Heroes’. Complete with an engaging light display and a whole load of energy, it was clear from the start that Zelmerlöw was set to be something of a star. After taking home the trophy, the singer continued his musical career and has recently released his seventh studio album. 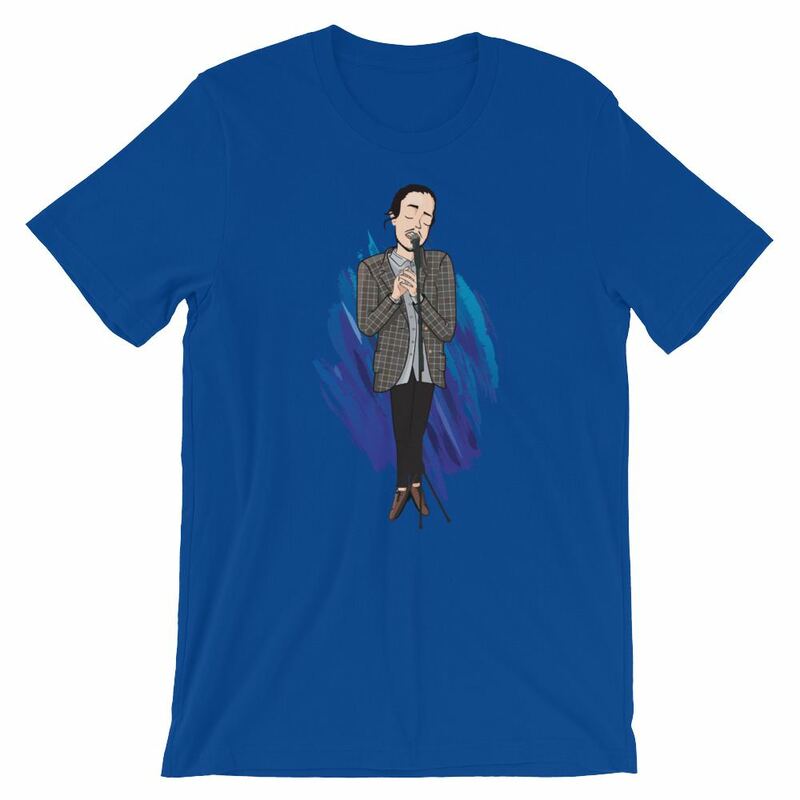 Fans of the singer are able to get their hands on some official merchandise from his store. One such piece is an iconic tote bag, which carries his well-known symbol and name. Of course, each time that the artist tours, he releases new merchandise for his audience members. Watch this space! Who can forget the 2016 winner, Jamala? Her contest song, ‘1944’, proved to be a real stunner and soon began to gain the singer a whole load of attention along the way. Far from your standard pop tune, the song was actually about the deportation of the Crimean Tatars in its title year. It had particular significance to the singer, who also wrote the song since her great-grandmother was one of the citizens who was deported. The political undertone to the tune was what made it at once unique and memorable. Of course, directly after the win, many fans were able to buy themselves special pieces of Jamala merchandise to keep. 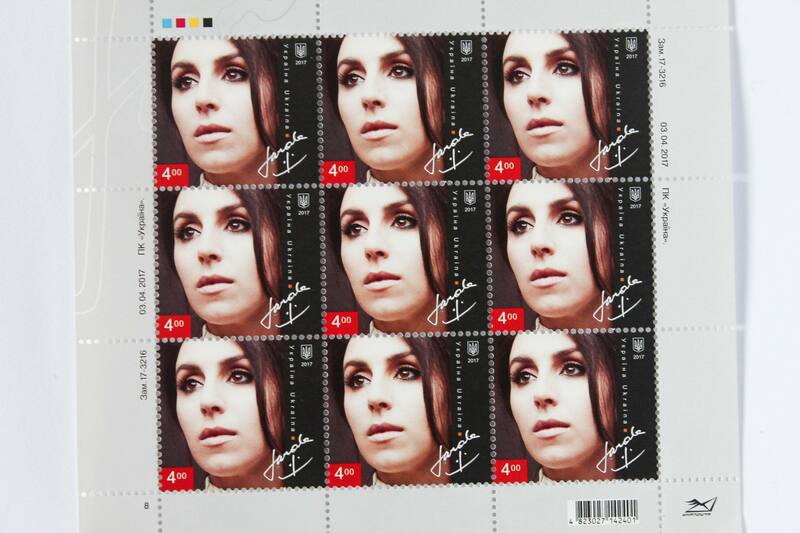 And now, for perhaps the most niche piece of Eurovision merchandise – some Jamala themed stamps. Yes, you read that correctly. The rare product is one of the most interesting pieces of merchandise that you can buy online. If you are looking for a very special keepsake, you might just have found it. Now this is what we call a rare merchandise item. In 2017, there was one Portuguese singer that won the hearts of the nation. Salvador Sobral sang the song, ‘Amar Pelos Dois’, which was actually written and composed by his talented sister. Sobral was actually already a singer in his home country and had released his debut album, ‘Excuse Me’, the year before. His contest song was an instant hit with audiences and managed to win him the top award. Of course, after the show was over, those who had fallen head over heels in love with Sobral wanted to show how much they cared. Many garments, including T-shirts, began to pop up on unofficial stores showing a caricature of the man himself. These mementoes were a massive hit, especially with Portuguese fans. Many of us are now following the singer’s journey as he becomes a fully-fledged artist. This T-shirt is brought to you by From Lisbon with Love. A brand that creates merchandise inspired by Portugal and its culture. Last year, as part of the 63rd Eurovision Song Contest, contestant Netta Barzilai blew audiences away with her performance. Her super catchy tune, ‘Toy’, was one of the highlights of the event, which was held in Lisbon, Portugal. What’s more, the Israeli singer made reference to a specific pop culture character during her song when she sang ‘I’m taking my Pikachu home’. It didn’t take longs for fans to catch that one. The quirky reference sparked some of the most exciting Eurovision merchandise out there. Fans of Netta took to wearing Pikachu hats as a way of supporting the contestant in her bid to win the annual competition. There’s no better way to show that you’re a Netta fan than by wearing a Pikachu hat and singing along. Needless to say, the star won the entire competition by gaining a massive 529 points. 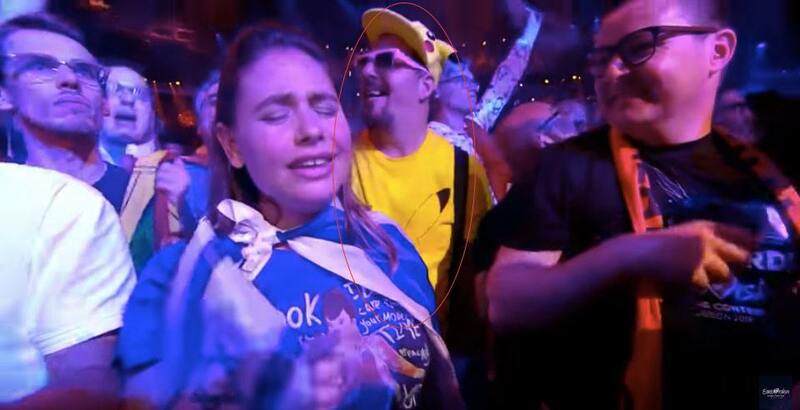 A fan wearing a Pikachu hat and T-shirt during Netta’s final performance. Of course, for those who have followed the contest in recent years, celebrating all of the latest winners could be appealing. There is also a Eurovision winners clock that fans can buy online. The piece of Eurovision merchandise is a celebration of the singers who have made a huge impression on the competition. 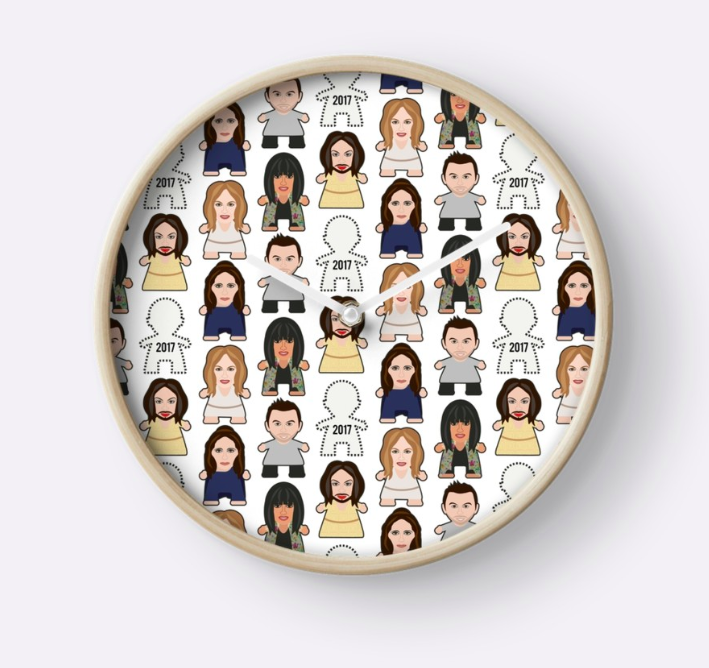 Each artist is symbolised by a small cartoon on the face of the clock itself, which could well make for the ideal gift. You may add Jamala or whomever else you preferred in the ‘2017’ space. Finally, let’s take a moment to talk about one of the most iconic pieces of Eurovision merchandise of all time. Yes, for die-hard fans, there’s a way in which you can take home a small slice of the action for yourself. We are talking, of course, about the Eurovision Song Contest mini trophy. 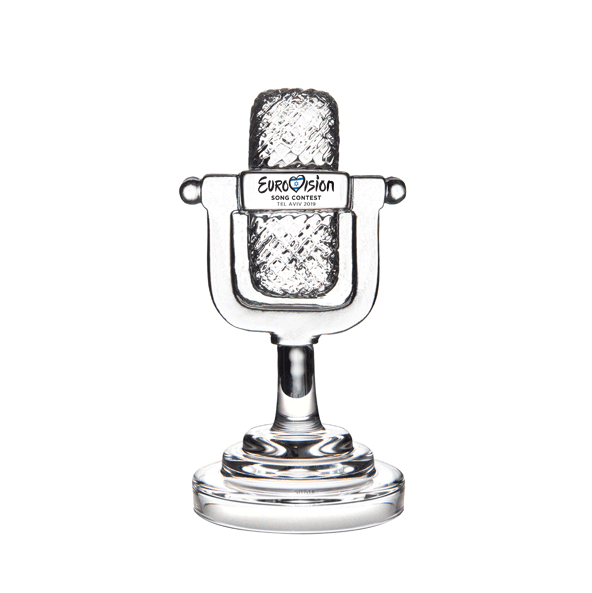 Made from solid transparent glass, the replica award looks as close to the real deal as possible. Lovers of the annual competition have the chance to own this remarkable trophy for themselves. The Eurovision merchandise is as varied as the show itself. It’s no secret that the competition has a massive following, which explains why there are so many unofficial stores popping up as well as the official one. Each time around, there is a new opportunity for merchandise that portrays the latest lineup of performers. So, what will the 2019 event bring our way? Well, for now at least, we’ll have to wait and see. If you want to pretend you’re an Eurovision winner, all you have to do is spend €250. From the moment you get in touch, one of our printing experts will answer all of your questions and find efficient solutions to your needs. It doesn’t matter where you are, we print T-shirts in London, we print T-shirts in Glasgow and everywhere in the UK. It is our mission to help you reach your goals. We ship all over the UK with flexible delivery services that can adapt to most deadlines. With our speedy T-shirt printing service you’ll have your garments delivered in 72h. Garment personalisation has never been this easy. Need to mass T-shirt printing? It is actually our specialty! Why worry about inventory or logistics when we can take care of that? To find out more, simply visit our website by clicking on the banner below. Logo Mashup Quiz: What Happens When These Brand Logos Merge?